With the reconvened meeting of the World Motor Sports Council due in two days' time, it is hard to think of anything else in connection with F1. I am sure that all F1 fans hate to see their sport airing its dirty linen in this way, but I suppose it is a necessary part of the process that puts things back where they should be. Hopefully it will be sorted out in a manner that is not too damaging to F1 as a whole. I detected a slight lifting of the gloom surrounding the affair over the weekend, however. Although it began with the FIA getting tough with the drivers over their emails and the publication of a bogus version of one of those emails in an Italian newspaper, things seemed to turn a corner just as the McLaren team were driving to victory at Monza. Perhaps it was the first smile we have seen on Ron Dennis' face for a long time, as he accepted the constructor's race trophy on the podium, or it might have been the reminder that this is really what it is all about, highly skilled drivers locked in battle on the track. I suspect, however, that the change in mood came from one of the men most responsible for increasing the sound and fury of the furore right from the beginning: Jean Todt. Even as he denied that the frantic activity of Messrs Ecclestone and Briatore amongst the motorhomes meant a possibility that agreement could be reached between Ferrari and McLaren, his stated awareness of the damage that was being done to the sport seemed to indicate some regret that he had been quite so loud in his accusations and denouncements. It may even be that he has begun to think that his case is not as strong as he once thought it. Obviously, the news that an Italian reporter had been responsible for concocting the email that seemed so damaging to McLaren's cause was a large part of the lifting of the mood too. The fact that the FIA still think that they have evidence in the emails given to them by the drivers is not forgotten but looks less earth-shattering now. The affair has given rise to some curious events that receive less notice, however. 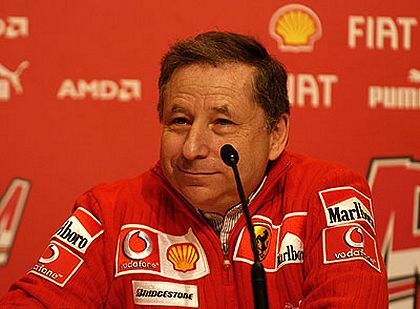 Early this morning as I was on my usual trawl through the F1 websites, looking for news and interesting points of view, I came across a fascinating article that examined Todt's present circumstances within Ferrari and his relationship to the espionage saga. It was pure speculation and made no secret of that fact; yet later today the article had disappeared. This is not the first time I have seen this happen. At times I wonder whether I have imagined everything because no mention is ever made of the vanished article - oh wait, I think someone did once refer to an episode of the Mole that had mysteriously gone missing. There have been others as well, however. And it makes me wonder how it is that Italian journalists can happily print whatever they like, from leaked documents to inflammatory forgeries, yet a few websites are apparently leaned upon when their speculation ventures a bit too far. Whether it is editorial concern or some other mysterious outside force that causes these sudden disappearances, I have no idea. But it does seem rather appropriate now that the Ferrari documents affair is referred to as "the espionage case". Enough of the cloak and dagger nonsense; let us remember that the sport is bigger than McLaren, Ferrari, Mr Todt and Mr Dennis. What happens at the meeting on Thursday has more serious implications for the sport than the loss of a few constructors' points or even a season's ban. I can only hope that the WMSC realizes the ramifications of any decisions they make and are duly cautious as a result. "...(Jean Todt) he has begun to think that his case is not as strong as he once thought it." Well said Clive, I too believe Ferrari's case is weak and this entire issue has been hyped like Hamilton! Stepney and Coughlan are the villians, and that's a legal matter in the civil courts, the bantering between Ferrari and McLaren should never have got to this point. Our favorite target , MadMax Mosley could have shown some leadership and called Dennis and Todt to his office and had a sit down chat and stopped this PUBLIC exposure early on. He could have done it with a letter and a stamp, but Mosley IS the source of many FIA problems and now look what we have. "...leaked documents to inflammatory forgeries..." hey Clive you live in the USA, ever heard of the New York Times or Dan Rather? Leaked documents and inflammatory forgeries are the life blood of the media. The Italian media is stretching the spy story in their favor, the British media exagerate Hamilton in their favor, it's up to us to gather several sources and make a picture from the puzzle pieces. Finally I concur, "What happens at the meeting on Thursday has more serious implications for the sport than the loss of a few constructors' points or even a season's ban. " Personally I'd rather see the entire incident disolved, the case has no merit. I fear if some negative response comes from this it merely sets president for future cases, some what like ADDING more rules to the regs book. We just don't need MORE..............that's my view, anyone else care to offer an opinion? Would the thoughts on Todt happen to be along the lines expressed in 'Penelope Gets Picked Up' over at the grandprix.com? Well dang me, Patrick, 'tis the very article! I must have missed it by forgetting that it was the Mole where I had read it - I was looking for it amongst the main articles. Silly me. But the other Mole article that disappeared was definitely removed and I remember what it was about now. It was also musing on the possibilities of sub-surface currents in the "espionage scandal". Mark Hughes has written some interesting stuff on that too. He kind of appeared to hinting that Ferrari might even have set it all up. Sounds a bit far-fetched but not impossible I suppose.